The New York Times ran this report on online digital camera dealers who use bait-and-stuff tactics worthy of the worst scams of yesteryear. Don Wiss, a Brooklyn-based camera enthusiast, has spent many hours tracking down the addresses of these online hucksters and taking pictures of their buildings. Many appear to be in haredi areas of Brooklyn, for example 1, 2, 3, 4, 5, 6, 7, 8, 9 and the best of them all, 10. Mr. Wiss has received death threats because of his work. And, as always, haredi rabbinical leaders are silent, absent without leave. TypePad, the blogging service used to host this blog, is experiencing what (if they ever notice) is sure to be called "degraded service." Degraded service is TypePad-speak for glitchy behavior, which often includes the inability to post comments, the inability to post stories, the inability to edit, or any combination of the above. In this case, only some of TypePad's functions are acessible. Others bring up Proxy Server errors. When will this be resolved? Who knows. TypePad has had two major failures in the past four months, along with dozens of minor problems stretching back almost one year. Their so-called Status Blog shows all services up and running, so they have not yet realized that they have a problem. (I called their corporate office and left a brief message. Perhaps they'll pick it up after their morning coffee.) All this would be acceptable from a free service, but TypePad is not free. One must wonder how long it will be before Blogger or Yahoo or some other entity opens a premium service on dedicated servers with realtime tech support that works. When that day comes, my guess is TypePad will simply fade away. UPDATE: It's 2:15 am CST, January 31. TypePad has "disabled" the stats (the internal counters that measure web traffic to individual blogs) in order to take the load off its (supposedly new and state of the art) servers. This is a common TypePad ocurrance. In this case, stats have been down for more than 16 hours. TypePad only recently began admitting that it frequently disables stats to relieve server load. Those of us relying on TypePad's stats have been damaged by this apparently long-standing but until recently hushed up practice. A friend is launching a large group blog with dozens of contributors. No tech person he spoke with recommended TypePad. No wonder. UPDATE #2: It's 9:45 am CST on the 31st. Entering the TypePad application to do anything other than post takes more than three minutes. It should take no more than 10 to 15 seconds. What does TypePad have to say about all this? Their "status blog" notes no problems. As is almost always the case,TypePad is asleep at the switch. The new state guidelines would stop short of a ban, but include precautions that could reduce the chances of infection, said New York State Department of Health spokesman Robert Kenny. Rabbis will likely be asked to inform their congregations about the potential risks of the procedure and parents advised to seek prompt care from a pediatrician if their baby develops a fever or rash. Steps would also be taken to "ensure that mohels have full knowledge of their health status" before they perform the ritual, Kenny said. He declined to discuss details of the guidelines, saying they were still being developed. Several religious leaders who support metzitzah b'peh have suggested that mohels be asked to rinse their mouths with alcohol, undergo regular testing for disease and refrain from doing circumcisions if they have a cold sore. "Our priority is to protect the public health, and increase the awareness of the potential health risks associated with this practice," Kenny said. Asking mohels to police themselves could be ineffective, he warned. As many as 70 percent of all adults have herpes simplex 1, and it is difficult to detect periods when the virus is contagious. Which is exactly what the problem is. 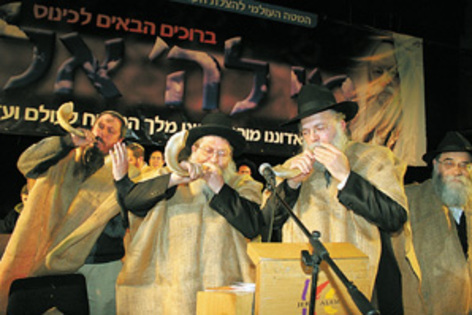 But haredim, led by Satmar and Agudath Israel, have done everything in their power to stop the city and state from regulating circumcision or limiting the practice of MBP, including threatening to marr Mayor Bloomberg's inaguration by busing in thousands of haredim wearing striped death camp uniforms to protest. It is unclear how the Hasidic community will react to the guidelines, which would be voluntary. Rabbi David Niederman, of the United Jewish Organizations of Williamsburg, has argued for no government action, saying there is too little medical evidence to justify a public warning on a ritual performed safely thousands of times a year. "Parents have been alarmed unnecessarily," he said, adding that he has already begun receiving calls from worried mothers. He said religious law contained provisions that would allow oral suction to be abandoned, but only if there was proof it could cause permanent harm. Right. Niederman is already on record comparing MBP to Shabbat law, and has stated continually that there is no evidence of danger, even when many medical experts disagree. Further, Niederman heads the Satmar religious court (beit din) charged by agreement with the city with investigating the cases of herpes related to Rabbi Yitzchok Fischer. The beit din agreed to present its findings to the city by December 1, 2005, but did not do so. And it has not done so since. This is hardly an indication of concern for children. And, if that is not enough, we have the threatened "Holocaust card." Rabbi J. David Bleich, a professor of both Jewish and secular law at Yeshiva University, said the debate over metzitzah b'peh began in Europe during the mid-19th Century, when suspicion arose that it was spreading tuberculosis. Ever since, there has been disagreement over whether the practice was recommended by the Talmud for medical reasons, or ordered as a requirement of a covenant with God. A majority of reform and modern orthodox mohels decided on the former, and now clean a circumcision wound with sterile gauze, a sponge or a glass tube. But a century and a half of debate hasn't resolved the argument, and Bleich suggested that actions by health authorities wouldn't settle the issue either. "Whatever changes are going to come are not going to come because of government pressure. If you want to change the way rabbis are doing things, the way to do it isn't to threaten them." Rabbi Bleich, who early in this controversy suggested that washing the mohel's mouth out with schnapps or whiskey just before the bris would solve the problem – a contention laughed at by infectious disease experts, yet still noted anonymously above – coveniently forgets to mention that doctors proved disease transmission through MBP in the mid-1800's. When the practice was banned, generally by the leading non-hasidic rabbis of the day – the death rate dropped dramatically. *One might recall that another YU rabbi, Mordechai Willig, spent a considerable amount of effort protecting the now-convicted child molester, NCSY's Rabbi Baruch Lanner. In the process of doing this, Rabbi Willig abused his power while showing disregard for the safety of minors. He was outed and forced to apologize to Rabbi Lanner's victims and their families. But YU took no disciplinary action against him. Again, with vulnerable children facing possible death or maiming, a YU rabbi has spoken out – not in favor of the powerless victims, but to protect abusive rabbis. Hardly a track record for YU to be proud of. Iowa's Secretery of Agriculture, Patty Judge, accepted a $10,000 campaign contribution from Rabbi Sholom and Leah Rubashkin during her run for the Democratic nonination for governor last year. That amounted to just under 10% of what she raised. An additional $35,000 was given by other large farm interests, including others she regulated. Some had been under investigation in recent years for environmental violations. Judge regulated these donors as well. 35% of her campaign war chest came form these interests. Judge is best known to the Jewish community for excoriating Rubashkin after viewing the undercover video of his slaughter operation. (Please see link on left sidebar of this page.) But, less than two weeks later, after being given a private tour of the closed plant, led by Sholom Rubashkin, and watching three or four animals slaughtered by a hand-picked schochet, she declared the plant operations "humane." Rubashkin noted that muscles on the barely recognizable heads continued to twitch more than an hour after the heads had been separated from their bodies. "Look. It's breathing. It's calling for help," Rubashkin said, referring sarcastically to PETA's claim that videotaped movements of cattle after their throats had been cut constitutes evidence they were conscious and suffering. “This was the first time I had an opportunity to see kosher slaughter," Secretary Judge said. "I was glad to see how it works." She said she saw three cattle slaughtered, and that they were rendered insensible and unconscious within “two or three seconds” after the shochet's cut. Judge accepted the $10,000 contribution from Rubashkin not long after. The OU's statement, quoted above, makes it clear that throat-ripping, the practice of ripping out the trachea of the just-schechted animal with a hook while it is still alive and fully concious, had been stopped. It does not note that it made this decision only after the USDA released teaching guidelines for its FSIS inspectors telling them to stop the line and shut down any plant doing it. This appears to be another indication that Rubashkin and his family, including his brother-in-law, Rabbi Milton "Yehoshua" Balkany, and perhaps certain officials closely linked to the OU, have been using their political influence and liberal campaign donations to thwart the release of the USDA's investigation of AgriProcessors. The investigation is widely belived to be damaging, not only to Rubashkin, but to the kosher industry as well, and to specific rabbis and supervising agencies whose lobbying to remove USDA restaints on humane slaughter directly led to Rubashkin's shop of horrors. As more evidence of influence peddling appears to surface, the pressure on the Bush administration rises. To keep a FSIS investigation under wraps for more than one year after its completion, to refuse to relaese any information related to this investigation under the Freedom of Information Act because the investigation – completed, according to the FSIS in early January, 2005 – is still "open," and to otherwise stonewall journalists can only lead one to believe that the Bush administration has something to hide. That something? Follow the money. The Jerusalem Post is reporting Rav Kaduri's, shlit"a, condition has significantly worsened. His Hebrew name is Yitshak ben Tufaha. For those wanting to pray or do other mitzvot in his merit, instructions and online information can be found here. These children understand the blessing of bread. They all grew up in African poverty, where a laborer's dollar-a-day wage has to pay for family food and lodgings. Then they lost even that. A smart and funny eight-year-old, for example, arrived in Addis from a village with his father after his mother's death. When the boy looked up from a game of marbles, his father had left too. Dr. Rick came to Ethiopia two decades ago after a childhood on Long Island, a university education in Vermont, four years in Alaska, and medical school in Rochester and Baltimore. He'd specialized in internal medicine, and landed a teaching job in Addis Ababa on a Fulbright scholarship. When the Jews of Ethiopia began their exodus to Israel, he returned to work for the American Jewish Joint Distribution Committee, and continues to care for Ethiopian Jews and Falash Mura. He's also the volunteer medical adviser to Mother Teresa's Mission for Sick and Dying Destitutes. In addition, he pours his energy and resourcefulness into hundreds of personal rescue missions. Through connections and persuasiveness, he manages to do the impossible: arranging complex surgery for Ethiopian children in the United States, in Israel, in India and Ghana. I met Dr. Rick twice in the 1990's. He's a very quiet, unassuming man – one whose deeds speak the volumes he does not. Perhaps if Chabad ever opens a Chabad House in Addis, they will honor him. Although I wouldn't hold your breath. The universe is: A) 15 billion years old. B) Less than 6000 years old. C) I'd prefer not to know. Human beings first walked on this earth: A) 50,000 years ago. B) Less than 6000 years ago. C) I'd prefer not to know. A) The earth revolves around the sun. B) The sun revolves around the earth. C) I'd prefer not to know. A) Mice can be spontaneously generated from mud. Lice, too. B) Spontaneous generation does not exist. C) I'd prefer not to know. A) Rashi discovered electricity. B) Benjamin Franklin discovered electricity. C) I'd prefer not to know. A) Rabbis can predict the future. B) No they can not. C) I'd prefer not to know. Saliva when placed on an open, bleeding circumcision wound of an infant: A) Promotes healing. B) Transmits disease. C) I'd prefer not to know. Charles Darwin was: A) Evil. B) A scientist. C) Both A & B. Modern medicine was made possible by: A) Science. B) Rabbis. C) God acting through scientists. Which of the following knew modern physics: A) The rabbis of the Talmud. B) Galileo. C) Newton. D) None of the above. E) All of the above. Answer keys after the jump. Am Echad was founded by Agudath Israel's Rabbi Moshe Sherer to fight the idea of "streams" or denominations in Judaism. Only one legitimate form of Judaism exists according to Rabbi Sherer's ideology – haredi. Everything that is not ultra-Orthodox is therefore treife, including, it would seem Modern Orthodoxy. Am Echad's chief spinmeister is Rabbi Jonathan Rosenblum, a convert to haredism. (Yes, I know this is politically incorrect; Rabbi Rosenblum is a ba'al teshuva, and, as the haredi dogma goes, a Jew cannot convert to haredism – he simply "returns" to his natural state. This dogma is false, but here is not the place to explain why.) Rabbi Rosenblum, a product of the Ivy League, is a talented polemicist. His latest effort is a broadside against evolution, in which Rabbi Rosenblum sets up several straw men and then – effortlessly! imagine that! – knocks them down. He does this by selecting statements from evolution's scientific critics and buttresses them with out of context quotes from evolution's scientific supporters. What Rosenblum does not tell you is the scientific critics of evolution number proportionately fewer than the number of academics who deny the Holocaust. It is like taking a minute sample of Americans who support a Stalinist takeover of America and representing them as a significant force in American politics. He also insists on labeling evolution as random, when only the most radical scientists (helpfully quoted by Rosenblum to misrepresent the scientific mainstream) would describe it that way. Further, Rosenblum avoids entirely recent findings in genetics that confirm findings in other disciplines dating human presence on this earth to tens of thousands of years ago – much earlier than the Torah's 6000-year-old universe allows. Haredim, fresh from their ban on Rabbi Nosson Slifkin, are now engaged – with the help of Christian fundamentalists – in an effort to promote Intelligent Design, the pseudo-science created by Christian fundamentalists after their earlier pseudo-science, creationism, was laughed out of court and out of the nation's public schools. They want ID taught as science in public schools, even though ID has no peer reviewed science and is nothing more than religion thinly, if at all, veiled. Rosenblum will argue his misrepresentations are not lies and, while drawn brashly for effect, his points are not invalid. But truth matters. As does context. As do one's political bedfellows. Science has taken us from donkey carts and witches brews to airplanes, space flights and modern medicine in less than 200 years. It did so in large part because it was freed from the restraints of religion enforced by a state-supported church and a rabbi-dominated Jewish community. Rosenblum would return us to those days of yore to preserve his fundamentalist reading of the Torah. We must not let him. Shabbatai Tsvi In Our Daily Life? The expression "shabbat shalom," literally, "Sabbath of peace," is neither modern nor secular in origin. … [I]t originated in the Galilee, in the city of Safed, in the mystical circle of renowned kabbalist Isaac Luria (1534-1582) — also known by an acronym of his name, forming the Hebrew word for "The Lion," as Ha-Ari. Luria and his disciples had many unique practices, the best guide to which can be found in the Hebrew book "Hemdat Yamim," "The Adornment of Days," written in Jerusalem in the 17th century. Although its anonymous author was not, as he was once reputed to be, Nathan of Gaza, the "prophet" and apostle of the false Messiah Sabbetai Zevi — he apparently was, besides being a follower of Lurianic customs, a Sabbatian sympathizer. In a chapter on Sabbath observance, he declares that after leaving synagogue at the end of the Musaf service Saturday morning, a Jew should "go directly home in great joy instead of meandering here and there [to visit friends or neighbors] and say in a loud voice when he enters [his home], 'Shabbat shalom u'mevorakh,' and sit down at the table dressed in white like an angel of God." The word u'mevorakh, which means "and blessed" in Hebrew, is puzzling in this context, inasmuch as, a grammatically masculine and singular form , it is not clear to whom or what it refers. It cannot be to the Sabbath, since shabbat in Hebrew is feminine, as is the traditional image of the Sabbath as a queen or bride; yet neither can it be to the members of the greeter's family, in which case it would be u'mevorakhim, in the plural. Perhaps it refers to the good angel who, in kabbalistic belief, accompanies every Jew during the Sabbath and is here being welcomed to the greeter's home, just as the Sabbath angels are welcomed in the hymn Shalom aleykhem, mal'akhei ha-sharet ("Welcome in peace, ministering angels"), that is traditionally sung around the Friday night table. Perhaps the answer lies in some other Lurianic precept. Hemdat Yamim was very popular among the early leaders of the Hasidic movement. If the custom was of Sabbatian origin, 'u'mevorakh" does make sense. It would be referring to Shabbatai Tsvi, who was thought to be in a "mystical union" with both the shekhina and the "Shabbat Queen." Can anyone trace "Shabbat Shalom" to before Shabbatai Tsvi? If not, why not? The Forward reports Connecticut Senator Josef Lieberman last week held a meeting in the Brooklyn home of Rabbi Milton Balkany. Also in attendance was the Zionist Organization of America's Morton Klein and Young Israel's Rabbi Pesach Lerner. Rabbi Balkany, known as the "Brooklyn Bundler" for his practice of bundling campaign contributions from his family – including the Rubashkins of Postville and Allentown infamy – and close friends. This effort allows Rabbi Balkany to skirt existing campaign financing laws and "give" donations well in excess of the legal limit, later using the influence this buys to further his projects. Balkany, interviewed by telephone, said that press reports of his legal woes were nothing more than "smearing." "There never was an indictment," he said about the 2003 charges. He added: "The government raised something. They walked away with egg on their faces. They made an apology." "I have dedicated my life to Jewish education and the Jewish community," he said. In 2004, prosecutors released a statement from Balkany in which he acknowledged violating an "understanding" with the government. 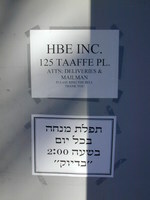 "Contrary to my understanding with HUD, I authorized the use of the grant to pay for general administrative and operational expenses of both Bais Yaakov and the Children's Center of Brooklyn, even though I knew that the specific terms of the grant did not permit me to use the funds in this manner," the rabbi said in the statement. In other words, Rabbi Balkany admitted embezzling the money, money which was meant to benefit handicapped Jewish students. (If memory serves, something like $300,000 of the embezzled funds ended up in his son's bank account in Israel.) The politically well-connected rabbi got off without a record. But reports at the time indicated that Rabbi Balkany is also barred from receiving further government grants. He also was barred from a federal Parisian chaplaincy he created, apparently because of allegations he sold his services – and political influence – to prisoners and their families. Balkany is alleged to have delivered special privileges in return for payoffs. Balkany is the son-in-law of Aaron Rubashkin, patriarch of the Rubashkin family that runs the Postville, Iowa-based AgriProcessors slaughter house. AgriProcessors is under investigation by the USDA for alleged cruelty to animals (please see the links on the left side of this page). The USDA investigation started in December of 2004. The USDA indicated it would release the results in January of 2005. But it did not, and has remained silent for more than one year. Freedom of Information requests regarding the investigation have been rejected because the investigation is classified as "open." There are those who believe Rubashkin and Balkany arranged for this unusual delay through Balkany's influence. As the months tick by without result, the number of insiders who believe this grows. Others believe Agudath Israel and the OU were able to get the investigation report quashed, allegedly because the rabbis charged with the plant's kosher supervision advocated and administered the cruelty. That Lieberman would consort with Balkany is surprising. As the Forward notes, several politicians – including President Bush – have returned Balkany-related donations. But why were Klein and Lerner there? Apparently, taking $700,000 from handicapped Jewish children is not enough to keep Klein and Lerner away from the Balkany money trough. Why is Joe Lieberman associating with these shysters? And why do Orthodox Jews allow them to lead their community? "Scientific theories change over time," [the imam] adds. "If science someday proves Darwin's theory to be a fact, without a speck of doubt, then we would somehow find a way to make it compatible with the word of God." Orthodox Judaism, too, has a literal approach to creation, taken from the Old Testament and the Talmud, known collectively as Torah. 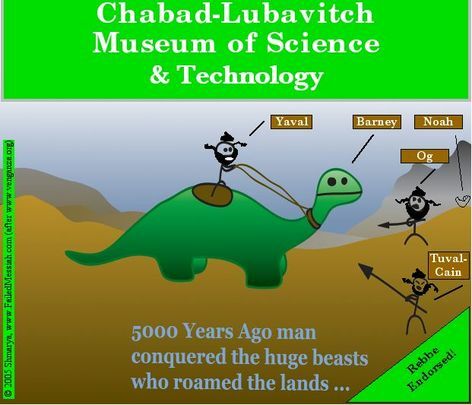 "Torah does not believe in evolution," said Rabbi Benny Zippel of Chabad Lubavitch of Utah. "Torah believes that during the six days of creation, God created man in God's image." This reads Rav Kook, Rabbi Hertz, the Tiferet Yisrael, and almost all of Modern Orthodoxy out of Orthodox Judaism. It also perverts the words of Rishonim who argued all of ma'ase bereshit (the creation story) is allegorical, and ignores the Rambam's (Maimonidies) philosophy entirely. Worse yet, it is predicated on the belief that the days of creation were six 24 hour days exactly like todays days in length. This reads out Rabbi Dessler and many others, including at least one rabbi who signed the Rabbi Slifkin Ban. This either represents complete ignorance of Orthodox opinion on this critical issue, or it represents a willful disregard of it. Either way, this is another in a long line of examples where Chabad's "wellsprings" of Torah prove to run shallow, not deep. In a full-page ad in last week’s Brooklyn Orthodox paper, The Jewish Press, a new group calling itself Friends of Bris Milah (ritual circumcision) urged parents to call a 24-hour hot line “to report any conversation initiated by doctors, hospitals and other professional caregivers” regarding the procedure known as metzitzah b’peh. Describing the plan as “a giant step leading to a ban” on the procedure, the hot-line message asked callers to leave the names of any health professional making “negative statements ... against our mesorah [tradition]” and specifics about what was said, where and when. The information will be used to prepare for “future action,” the message said, raising the possibility of protests and pressure on specific caregivers. Efforts to reach Rabbi S.F. Zimmerman of Monsey, identified in the ad as a recipient of contributions to the group, went unanswered. But sources in the Satmar chasidic community of Williamsburg in Brooklyn said the group was tied to the Central Rabbinical Congress of the United States and Canada, a Satmar rabbinic organization that has taken a lead in opposing city plans. Interviews with several parents from these communities underlined this rabbinic-centered worldview and the hurdle it will pose for the Health Department. Zwiebel noted the information sheet the city plans to distribute advises parents to consult their mohel and pediatrician about the procedure.“It probably would have been more respectful to have said ‘consult your rabbi,’ ” he said. With the city’s agreement, the Central Rabbinical Congress of the United States and Canada was to rule on the case of a mohel the department judged to have passed herpes to at least three infants in recent months via metzitzah b’peh. The department has identified seven [MBP-transmitted] cases since 1988, including five in the last two years. They include one child who died and two who suffered significant brain damage. So the city was forced to act without the rabbis – who have still not issued their ruling or completed their 'investigation,' 50 days after its mutually-agreed deadline. Satmar and Agudath Israel lied to the mayor, stonewalled their own 'investigation,' and now blame the city for acting alone. The idea? Shoot the messenger so the message can be disregarded. These haredim never intended to investigate MBP or to stop the procedure. No amount of evidence short of a widespread epidemic will cause change. And babies will die and be maimed as a result. This behavior by the CRC and Satmar, charged by the city at their own request with investigating and managing this issue, is criminal. And I mean that quite literally. When, God forbid, the next baby is maimed or dies from MBP, the city should charge the leaders of the CRC (and perhaps their allies at Agudath Israel of America, as well) with criminal endangerment, neglecting the welfare of a child, and, if the case warrants, manslaughter. Haredim need to learn a lesson. Please teach it to them. Rabbi Yitshak Kaduri, shlit"a, the 108-(or more)-year-old rosh hamekubbalim (head of the kabbalists worldwide), is reported to be seriously ill in a Jerusalem hospital. It is proper to pray for his recovery, and to say tehillim (psalms) and do extra mitzvot in his merit. Indeed, Chief Rabbis of Israel have called for Jews worldwide to pray for Rav Kaduri's, shlit"a, recovery, and Rabbi Ovadia Yosef has gone to Bikur Holim hospital to visit him. Reports: Arutz Sheva 1, 2, and 3; Jerusalem Post; Y-net. UPDATE: 1-16-06 The Jerusalem Post is reporting that Rav Kaduri, shlit"a is in critical and unstable condition, and has now been put in a medically-induced coma. Chabad Messianists Threaten Olmert Over Hebron: "All those who harm the Land of Israel declare war on God and his commands, and face the consequences." Three leading Chabad messianists have sent Acting Prime Minister Ehud Olmert a letter warning of dire consequences if Olmert forces Jews who are squatting in Arab-owned storefronts in Hebron to leave. "All those who harm the Land of Israel declare war on God and his commands, and face the consequences," the rabbis wrote, saying that Olmert will face "a personal catastrophe" if he continues with the evacuation. The rabbis "warn" Olmert of Ariel Sharon's "fate" after Sharon "destroyed Gush Katif and northern Samaria." The leader of this group is Rabbi Sholom DovBer Wolpe, the leading theologian of Chabad messianism. He is the rabbi who compared Disengagement from Gaza with the Holocaust and is planning to open a "Yad Vashem"-style "Holocaust" museum to mark the "tragedy." The Other members of the triad are Rabbis Gedalia Axelrod*, a Chabad rabbi who is a former rabbinical court judge in Haifa, and Yekutiel Rapp. Rapp and Wolpe are members of SOS Israel, a group opposing Disengagement and advocating resistance to thwart it. They represent the dominant Chabad faction in Israel and perhaps the world. And that should worry us all. In the 1940's Agudath Israel of America and the Spero Foundation published a series of chapbooks known as Jewish Pocket Books. These were by and large nothing more than apologetics designed to keep Orthodox youth "in the fold." As a measure of their success, one can note that most children born into Orthodox homes in 1930 became members of Conservative congregations in their adulthood. This failure to retain the youth has many causes, not all of them attributable to bad apologetics. Yet, in 1947 Aguda published a truly despicable chapbook in the series, Science and Judaism, authored by Rabbis Harold Leiman and Joseph Elias. It is little more than warmed over creationism. It misrepresents both how science works, and what science had already proved, while at the same time avoiding all mention of traditional Jewish sources that support evolution and the findings of paleontology. The Falashas of Abyssinia considered themselves Jews who emigrated from Palestine in the times of King Solomon. In fact they only posess some books of the Bible and have been out of touch with later developments of Jewish history. Yet they believe in the future coming of the Messiah and the rising of the dead. This belief is one of the doctrines of Judaism since Sinaitic days, it is therefore natural that Falashas share it. Orientalists, however, "cannot" concede its divinely inspired origin; they consider it an invention of suffering Jewry after the fall of the Maccabean dynasty. Instead of accepting the evidence from Abyssinia they, therefore, blithely declare that the Falashas' belief in a Messiah "disproves" their Solomonic origins. On May 19th, 1981, a delegation from the American Association for Ethiopian Jews met with Rabbi Moshe Sherer, the head of the Agudath Israel World Organization. To enlist the help of Agudah in the rescue of Ethiopian Jews. The AAEJ had every right to expect Agudah's help. Rabbi Moshe Feinstein had already publicly endorsed rescue. So had Israel's Chief Rabbis. Rav Ovadia Yosef was clear and unequivocal in his support. Further, a leader of the Young Israel movement and a supporter of the AAEJ, Rabbi Yaakov Pollack had arranged the meeting with R. Sherer. But the meeting did not go well. R. Sherer spent much of the time lecturing the group, and little time listening. He wanted proof of the Ethiopian Jews Jewishness before acting. What about Rav Moshe Feinstein's ruling? the group asked. R. Sherer brushed aside Rav Moshe's ruling, apparently citing Rav Moshe's advanced age as his reason. The group was stunned. What of the rulings by the Chief Rabbis? the group asked. Not good enough, R. Sherer replied. What about Rav Ovadia Yosef? they asked. Surely he is someone who can be relied on? R. Sherer, agreed that Rav Ovadia was a chacham, a wise Torah scholar, but his ruling on Ethiopian Jews was not scholarly enough. What if Rav Ovadia would rule again, and write a longer, more detailed teshuva? That would be different, R. Sherer replied. He also suggested the group get a ruling from someone more scholarly like Rav J. B. Soleveitchik, the Rosh Yeshiva of Yeshiva University. The group was being hondled by R. Sherer and they knew it. Less than forty years after the Holocaust, the leaders of haredi Judaism in America refused to listen to their posek (religious law judge) and instead chose to stand by while thousands of Ethiopian Jews died. If that is not racism, I do not understand the meaning of the word. It is also interesting to note that the Lubavitcher Rebbe, Menachem Mendel Schneerson, referred the question of the Ethiopian Jews Jewishness to Rav Moshe Feinstein. Rav Moshe ruled that the Ethiopian Jews must be saved. The Rebbe, just like R. Moshe Sherer, ignored Rav Moshe's ruling. Worse yet, Rabbi Moshe Sherer was a leader of Agudath Israel of America at the time it published Science and Judaism, gaining leadership in that organization in 1941, and leading Aguda until his death in 1998. Rabbi Sherer was one of the few American-born haredi rabbis active at that time in what was then a small organization. There is no question he saw Science and Torah and approved it before its publication. Haredim, led by their Aguda spin-doctors, claim to want to be judged in the free marketplace of ideas. And so they should be. We would not accept lies and racism like this from our politicians. We should not accept it from our rabbis, either. Make this point clear to your local haredi rabbi the next time he asks you for a donation. Rabbi Gil Student has a popular J-blog known as Hirhurim. Over the past 18 months, Gil has banned commnent from many different commenters, including me. In my case, I have been banned at least three previous times but, as my IP addresses have changed, those bans have become ineffective, and eventually I resumed leaving comments, only to be banned weeks or months later. Each ban has to do with challenges to Rabbi Student's Judaism – challenges Rabbi Student cannot answer. This is another case in point. Rabbi Student posted about the Taz and Shabbatai Tsvi. Was the Taz a follower of Shabbatai, Rabbi Student asked? He then answered his own question by pointing to research done by Rabbi Elijah Schochet. Rabbi Schochet concludes there is no information that conclusively proves the Taz followed Shabbatai. Therefore, says Rabbi Schochet (a direct descendant of the Taz), the Taz did not. I pointed out that, a) the Taz sent his son and son-in-law to investigate Shabbatai, and they came back believers; b) the mission to Shabbatai and its conclusion were very public happenings and were well known throughout Poland at that time; c) there is no record of either man retracting that claim; d) and there is no record of the Taz doing anything to distance himself from the conclusions of his emmisaries. I therefore concluded that the known facts support the idea that the Taz was a Sabbatean believer. Rabbi Student, enraged, wrote "I'm sure we're all glad to get Shmarya['s] official pesak on the history." I responded by challenging him to prove me wrong – if he could. Rabbi Student fell silent. The next day, Rabbi Student posted on the current controversy over bugs and pre-packaged romaine lettuce. He noted that Rabbi J. David Bleich has pointed out that the a Talmudic passage indicates shepherds used to have much better eyesight than we now have. (Rabbi Bleich is the noted expert on medicine and halakha who, in response to the controversy over metzitza b'peh, announced that the procedure was not dangerous as long as the moshel rinsed his mouth out with schnapps before coming in oral contact with the circumcision wound. The only infectious disease specialist on record supporting this strange notion is a haredi flack with no published papers and no standing in the infectious diesease community.) On that basis, Rabbi Bleich attempts to defend those who call for light boxes and magnification to check romaine lettuce for bugs, things not mandated (or even conceptualized) by the Torah. "The only holdout was the star k from all the agencies, why?" As for our "worsening eyesight," the Torah permits people to check for bugs who needed glasses but did not have them because glasses did not exist yet. Even so, [Rabbi J. David Bleich] wants us to believe the stories about how far a shepherd could see? Please. Maybe they could see so far because there was little air pollution. Maybe because they were standing on high places looking down. Maybe a dozen other things, including that they really did not see that far. Go buy your microscopes, get your bug-checking training and throw your sechel out the window. The result? Rabbi Student banned me without answering the challenge I posed to Rabbi Bleich's reasoning. Each previous time he banned me, Rabbi Student has announced the ban in response to my comment(s), posting the notice as a comment to his own blog. This time, Rabbi Student did not do so, probably because he has been subjected to much ridicule over these ridiculous bans, and banning me in silence saves him from answering difficult questions about his cowardly behavior. Rabbi Student is a very public apologist for Orthodox Judaism and a self-identified (left-wing) haredi. As is almost always the case with apologists, they win their debates by slanting the playing field in their own favor. They are cowardly and dishonest. Rabbi Student – and the rabbis he consults with, including those at his old alma mater, Yeshiva University – are no exception. "In my case, I have been banned at least three previous times but, as my IP addresses have changed, those bans have become ineffective, and eventually I resumed leaving comments"
1. It took you almost 3 weeks to ban me this time. 2. You did not do so until I posed a challenge you could not answer. 3. If the previous bans were the main reason for this ban, you would have banned me three weeks ago. But the main point is this: Banning someone whom you cannot answer is cowardly and dishonest. That you do not understand this reflects poorly on you, and it reflects poorly on your teachers – especially the ones that tell you do so. You're complaining that I was too slow to ban you??? No, I did not ban you until someone reminded me by posting that you were banned. I have no idea what you think your challenge is and whether or not it is unanswerable because I have long tired of reading your questions. Let someone else deal with you. I'm done defending myself here. Life is too short. The comment "reminding" Rabbi Student that I was banned was left on 1-11-06 at 12:19 p.m.
My last comment on Hirhurim was left on 1-12-06 at 11:56 p.m. – in other words, 36 hours <B><I>after</I></B> this "reminder." What was the comment about? It is about Rabbi J. David Bleich and the vision of shepherds and is quoted in full above. Rabbi Student claims he does not read my comments. Yet on 1-11-06 at 10:10 a.m. Rabbi Student replies directly to my comment on the Taz: "I'm sure we're all glad to get Shmarya['s] official pesak on the history." Rabbi Student is a liar. This post was not meant to belittle Rav Kaduri or the Lubavitcher Rebbe. Read it and think about it before jumping to conclusions. Or don't. Rabbi Student was being sarcastic, but he did so in a way that left him the wiggle room to deny it. That is why he did not ban or censor (as of 4:40 pm EST 1-15-06) any of the sarcastic commenters who made fun of "great Torah sages" like the Rebbe and Rav Kaduri, because they are attacking figures he does not really respect. And, much more importantly, those commenters did not post a challenge to Rabbi Student's beliefs that Rabbi Student was unable to answer. Just more proof that the "rabbi" of the J-blogosphere is a dishonest coward. A video of the visit between Rav Kaduri, shlit"a, and the Rebbe is online here. For those wishing to pray for Rabbi Kaduri's recovery, his name is Yitzhack ben Tufaha. It is proper to say tehilim (psalms) and to additional mitzvot. For an explanation of this, along with links to online resources, see this post. To clarify, this post could have been mocking any of three people or groups: Rav Kaduri, the Lubavitcher Rebbe, or those who take these statements way too literally. I think I've already clarified above who was not the intended subject. In other words, it is an attack on tens of thousands of Jews, made at the expense of an ill man who is at least 104 years old. And that is perfectly fine according to Rabbi Student, because he is not being sarcastic about a gadol (leading rabbi). UPDATE: It seems that this post went over a lot of readers' heads. My point was simply not to take such predictions/prayers/blessings as absolute prophecy. Asked people to pray for Rav Kaduri, shlit"a. Expressed any concern for Rav Kaduri's, shlit"a, health. In any way mention that he hopes Rav Kaduri, shlit'"a, recovers. Mentioned that, in most circles, Rav Kaduri, shlit"a, is very highly regarded. His original post was taken by the vast majority of his readers to be sarcasm directed at both Rav Kaduri, shlit"a, and the late Lubavitcher Rebbe. His "update" does little to dispel that notion. And, when coupled with the absence of any sympathy or concern for Rav Kaduri's, shlit'a, health, one can only reach the conclusion that Rabbi Student was using the illness of 108-year-old (or more!) man as a point of sarcasm. But listen carefully to the utterances of [Iranian President Mahmoud] Ahmadinejad - recently described by President George W Bush as an "odd man" - and there is another dimension, a religious messianism that, some suspect, is giving the Iranian leader a dangerous sense of divine mission. One of the first acts of Mr Ahmadinejad's government was to donate about £10 million to the Jamkaran mosque, a popular pilgrimage site where the pious come to drop messages to the Hidden Imam into a holy well. All streams of Islam believe in a divine saviour, known as the Mahdi, who will appear at the End of Days. A common rumour - denied by the government but widely believed - is that Mr Ahmadinejad and his cabinet have signed a "contract" pledging themselves to work for the return of the Mahdi and sent it to Jamkaran. This is similar to the Christian vision of the Apocalypse. What Christians and Muslims believe is not that different from what today's Chabad messianism believes. The greatest danger of this messianism is not theological. The greatest danger is when messianism controls a state that has an army and nuclear weapons, as we are now seeing with Iran – or, in an age where it seems almost anyone can own a nuclear weapon, when it resorts to terrorism. As the West works to resolve the problems of Iranian messianism – by necessary use of force, it now appears – we should keep in mind what the not too distant future might bring for us. Will messianism ever take the reins of power in Israel? Let's hope not. Tzemach Atlas points out that Rabbi Yitzchok Kogan, the head of Agudas Chassidei Chabad in Russia, is a messianist. Most of us have heard some of Chabad's 'proofs' for the messianic status of the late Rebbe. One of my favorites is achieved with gematria, the numerology many Orthodox Jews believe God coded into the Hebrew language. The numerical value of "beit mashiakh" (house of the messiah) is 770, which just happens to be both the address and the name of the main Chabad synagogue in Crown Heights. This little oddity isn't much of a proof, but it does have a certain effect on believers. As Philologos notes, Sabbatians made extensive use of gematria to "prove" that Shabbatai Tsvi was the messiah. Gematria was also used by the nascent hasidic movement to validate its theology and leadership. And that brings us back to 770, the "house of the messiah." Gotta' love the Amar family. First, Rabbi Amar's son Meir, long estranged from the father but still close to his mother, kidnaps his sister Ayala's suitor – a haredi youth from Bnei Brak – and beats and tortures him in Rabbi Amar's house. Why? To break up the relationship. Rabbi Amar's wife Mazal is home during the incident but does not call the police or do anything to protect the boy. She later admits to this in court, along with admitting to falsifying a police report. She gets off, apparently due to her political connections. 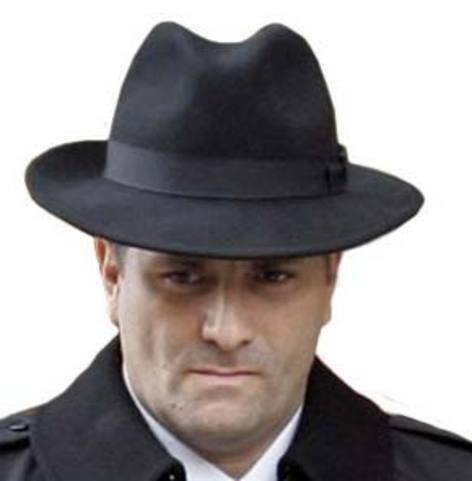 Meir gets a light sentence – two years and eight months. 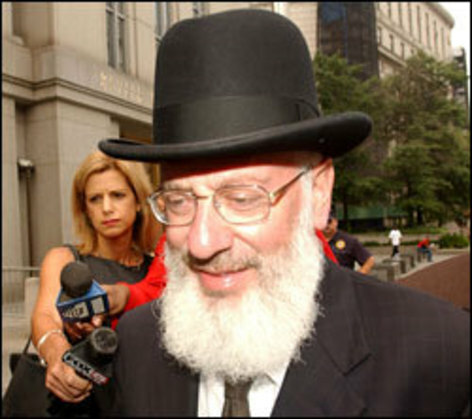 Rabbi Amar was on one of his numerous overseas trips during the kidnapping, so he was not charged. A brawl broke out at a Jerusalem synagogue between some of the guests and a number of waiters towards the end of the wedding of Chief Sephardic Rabbi Shlomo Amar's daughter Ayala. Police arrested two of the guests, and their custody will be extended by the court on Thursday. The police's investigation found that at around 23:30, one of the guests attacked an Arab waiter and broke a bottle over his head. Shortly afterwards, another waiter accidentally touched the shoulder of another guest, who responded by allegedly striking the waiter. A brawl broke out and one of the managers called the police, who arrested two of the guests after separating between them and the waiters. Rabbis as leaders of the Jewish people. My my. 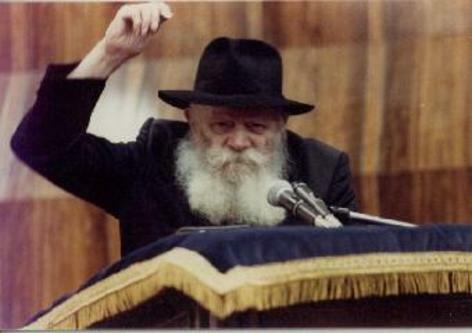 There is much confusion about what Chabad believes about the late Rebbe. It is commonly thought there are two factions within the movement, one that believes the Rebbe is the messiah even in death, and one that rejects that belief. However, this is both false and misleading. Chabad breaks down into two main factions. The first believes it is proper and necessary to publicize the Rebbe's status as the messiah. The second believes such publicity harms the movement and weakens its fundraising and outreach. The first faction is commonly known as the "messianists," in Hebrew, the "meshichistin." The second are the "anti-messianists," or "anti-meshichistin." Both factions believe the Rebbe is the messiah. They dispute what should be done regarding this belief. A more extreme splinter group from the messianists believe the late Rebbe is literally God, and believe it is their duty to publicize this fact. They are known as Elokistim, and are few in number. There are also a small number of Chabadniks who believe the Rebbe is not the messiah, and all of this is a tragic error that is hurting Chabad. And then there is the average attendee at Chabad Houses and shuls outside Crown Heights and Kfar Chabad. He will tell you he doesn't believe the Rebbe is the messiah – or that he does, in the sense that it is possible the rebbe is. Either way, he'll tell you there is a gemara somewhere that supports this belief. He won't identify with the mesianists (unless his rabbi does). This new theology has a big advantage – it allows a Chabadnik to say that he does not believe the Rebbe is the messiah, and to do so while telling the truth. What Chabad has done is redefine the terms of the debate, making those terms meaningless. If the Rebbe will "lead us to the Redemption," is "higher" than any other person who ever lived (including Moses! )1, he has taken a position unheard of in Judaism and superceded the normative understanding of the Redemption and the Messianic Age. More troubling is the theology – accepted by all Chabad "streams" – that the dead Rebbe answers prayers and gives advice and blessings. This has led some to pray directly to the late Rebbe. Also, accepted across the board is a Rebbe-centric form of practice, of which the late Rebbe "answering" prayers and the like is a part. Everything a Chabad hasid does – from learning, to prayer, to outreach – goes "through" the Rebbe. He is the focus of everything, the point of entry and the point of departure. As a friend noted, "A Chabad hasid may pray to God, but that is only because the Rebbe told him to." Rabbi Dr. David Berger has devoted much effort to confronting Chabad messianism. But he has failed to deal with the Rebbe-centric theology at the heart of the movement. This seems to be because Rabbi Berger is an academic specializing in Christian-Jewish disputation, and the issue of the second coming – shared by Chabad with Christianity – is central to that study. But there is also more. Dr. Berger knows that, if the second coming theology is accepted in Judaism, there is nothing left to separate us from Christianity except mitzva observance.4 But increasingly, messianic Jewish groups are taking on mitzvot as part of their practice. Perhaps what Dr. Berger fears is the day in the not too distant future when messianic Jews and messianic Chabad sit side-by-side with Hadassah, Amit Women, and the Reform and Conservative movements around the Federation table. It is Rebbe-centric theology, or Rebbeism, lies at the heart of the problem with Chabad.5 It is the root of its messianism and, more than messianism itself, that poses the greatest threat to Judaism as it has been practiced for almost 2000 years. 1. Heard directly from Rabbi Manis Friedman. 2. Which is why the hasidic-dominated Moetzet Gedolei HaTorah of Agudath Israel has been silent on this issue, even though most members of the Moetzet are known privately to be very opposed to Chabad and to its Rebbeism and Messianism. 3. Or, at least, it is a beefed-up variant of the version of that doctrine as it is commonly known today. Some of the early generations of the hasidic movement may have approached this level of Rebbe-centrism. It is important to realize that the Tzemach Tzedek, the third Lubavitcher Rebbe, said that what kept the hasidic movement from outright heresy was the opposition of the Gra. 4. And, when one considers that Reform does not consider itself to be bound by mitzvot, and that secular groups now sit at the Federation table, one can quickly appreciate how important rejection of the second coming is to those who worry about Messianic Jews infiltrating the community. 5. A satire of this can be found here. *Reader MP claims this view is nothing more than the 200-year-old doctrine of hitkashrut, connection, with the tzaddik, and is not new. Please see footnote #2 and the relevant paragraph in the post for perspective on this. Ha'aretz is reporting a knife attack on a Moscow synagogue. Anybody know more? UPDATE: The attacker seems to be a skinhead. 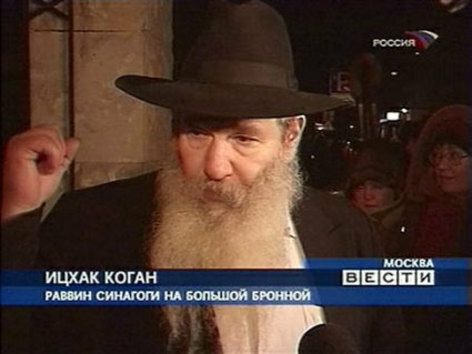 Lubavitch News is reporting Rabbi Yitzchok Kogan, perhaps the most beloved figure in all of Russian Orthodox Judaism is the rabbi of the synagogue and himself disarmed the assailant. The rabbis son-in-law was seriously wounded by the attacker. The following kashrus notice is from the OK dated January 4, 2006. Please be advised that KOHN'S RESTAURANT in St Louis, MI is not under the OK Kosher supervision. This company is unauthorized. ed. note: Simon Kohn's Restaurant in St. Louis, MO is under the OV (The Vaad Hoeir of St. Louis). What we appear to have is a community restaurant under the supervision of the community va'ad – just as it should be. Did Kohn's claim to have OK supervision? Most likely not. The alert probably results from confusion due to the similar symbols – OV vs. OK. And the OH certainly knew this before it issued an "alert" designed to damage Kohn's business. Why would the OK do this? To exert pressure on Kohn's to pay for OK supervision or to hurt the OV, which supervises salads and other products sold nationally, or both. Unless Kohn's knowingly misused the OK symbol, what the OK did is a clear violation of halakha. In a better world, the OK would pay a price for this bad behavior. But this is not that world. UPDATE: I spoke with Kohn's. They had menu boards up that used the following logo: K-O-H-N-S, with each letter surrounded by a circle. When a new menu was printed, the designer took the K with the circle and used it as part of the menu's logo, but did not use the other letters. What Kohn's did was inadvertently use the OK's symbol, and the OK has the legal right – and the responsibility – to defend its trademark. That being said, the OK could have done this as it does for so many of its paying clients who inadvertently misuse the OK symbol – note the misuse as inadvertent and, in this case, note the restaurant is under other supervision. This would be the correct way – the halakhic way – to do this. But, as clearly seen above, the OK took the low road, and for that, it should be chastised. The following change of certification is from the Star-K on January 4, 2006. JEFF NATHAN EVENTS, located in Temple Beth El, New Rochelle, NY, has changed certification from the Star-K to the Vaad of Westchester. The OK could have done something similar with Kohn's, noting the OK symbol was used in error, inadvertently, and pointing out Kohn's continues to be under the supervision of the OV. Marvin Schick has an op-ed in yesterday's Jerusalem Post entitled "Where is Chabad heading?" Schick points out the degradation of halakhic observance so common to Chabad Houses today, and laments the lack of serious discussion within Chabad about this. He also notes the use of celebrities whose connection to Jewish-halakhic observance is often severely lacking. He points out that Alan Derschowitz, a key speaker at Chabad's shluchim (rabbi representatives) conference this year is a proponent of intermarriage. I would add that Chabad's Crown Heights-based Jewish Children's Museum's annual fundraising dinner had the actor Jeff Goldblum as its honoree. Goldblum has been intermarried, is currently inter-dating with plans for marriage, has no connection to anything Jewish, told reporters he could not understand why he was honored because he had done nothing meritorious, certainly nothing Jewish, that would merit it. And then we have US Senator Norm Coleman (R, MN), a kind and good man, who is very publicly married to a Catholic woman. Norm, when he was mayor of St. Paul, was honored with lighting Chabad's giant public menorah. I find it hard to believe the Rebbe would have allowed this. I used to frequent a Chabad House where, on Shabbat, at least 1/3, and often much more, of the minyan drove to shul and parked in the shul parking lot. This was all done very publicly. The rabbi knew. Everyone else knew. And yet, every week the rabbi made sure to ask the same men to come. They all lived too far to walk. Two men used to drive in from 15 miles away on Shabbat morning, daven, eat cholent, and then drive home in the early afternoon. Without these men, Chabad had no minyan. It is this type of flagrant disregard for halakha that Schick is concerned with. Over and over again, the halakhic standards enforced within the movement 20 years ago are falling by the wayside. When coupled with Chabad's messianism (a topic Schick does not even touch on), and its redefinition of Judaism as Rebbeism (and by this I mean the idea that everything done or believed is done or believed primarily because of the Rebbe, and good a person experiences comes from the active blessings of the Rebbe), one finds a dangerous situation. In many ways Chabad is like the Conservative movement, a neo-Orthodox grouping almost indistinguishable from Orthodoxy, with congregations made up of largely non-observant congregants but led by observant rabbis. But those early Conservative rabbis would not have asked Jews to drive on Shabbat to make their minyans, and they would not have honored intermarried Jews. (Those innovations came much later.) And the Conservative movement did not have a dead messianic figure. It is this flagrant disregard for halakha that in large part endears Chabad to non-observant Jews. So little is expected of them other than affiliation. I have seen these Jews get aliyot on Shabbat and Yom Tov while wearing cell phones, with pockets full of change and car keys, and pens clipped to their shirt pockets. And these are not first-time visitors to Chabad. As more and more non-observant Jews become connected with this new, post-Rebbe Chabad, Chabad moves further away from normative halakhic observance. Where will this all lead? In twenty years, maybe even less, America will have two viable Jewish movements – Reform and Chabad. Neither will be Orthodox as the term has been defined for the last 200 years. One of them will be humanist but moving toward tradition. The other will be messianic and moving steadily away from tradition. And where this will lead, nobody knows. 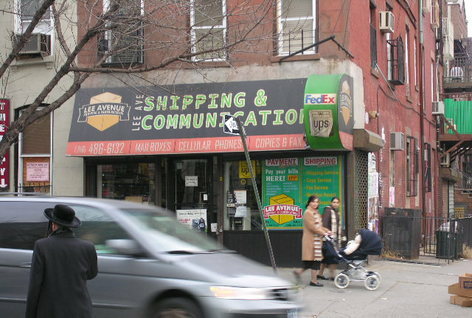 Tzemach Atlas links to a post on CrownHeights.info that contains links to audio files of a farbrengen (informal talk within a hasidic gathering) given by the titular head of worldwide Chabad, Rabbi Yehuda Krinsky. In this talk Rabbi Krinsky admits the Rebbe's sister-in-law, the eldest daughter of the sixth rebbe, was beaten and blinded by a Lubavitcher rabbinical student (second audio file about 1/3 of the way in), admits that Chabad did everything in its power to stop the Rebbe from being deposed by a New York court regarding his incitement of that incident, and frequently refers to the grandson of the sixth Lubavitcher rebbe, Barry Gourary, as the "sitra achra." For those who do not know, "sitra achra" is a kabbalist term that denotes the evil "force" opposite the goodly "force" of God's will. In hasidic street usage, "sitra achra" would be the equivalent of the devil and its opposite would be God. (In truth, the evil "force" is controlled by God, too – it is what allows us to have freedom of choice by choosing good over evil.) While unspoken, the problem is Rabbi Krinsky uses the term in a way that shows the polarity is different here: Barry Gourary is the devil and the Rebbe is God. Rabbi Krinsky also admits that the oldest son-in-law of the sixth rebbe, known as the Rashag, was often ridiculed by Lubavitcher rabbinical students – including Rabbi Krinsky – during the early years of the Rebbe's leadership. As I saw personally, this continued into the 1980's. It also should be noted that the sixth rebbe's library, the source of the dispute that led to the beating, contains many interesting secular books collected personally by the sixth rebbe beginning when he was still a child. Included were editions of Sherlock Holmes in Yiddish and other works of fiction. Chabad, despite what Rabbi Krinsky says on the audio files, could not go to an independent beit din (religious court), because no independent beit din would have awarded the library to them. The secular court was untroubled by the normative Jewish law regarding inheritance, and by the presence of secular books – which by the estimates I've seen made up a large part of the collection. A beit din would have awarded those books – all of them – to the surviving male heir, the sixth rebbe's grandson, Barry Gourary. And so, Chabad did what haredim so often do – whatever was most convenient. As I noted there, generally speaking, according to halakha (Jewish law), from this quote alone MBP should be suspended. If the majority of infectious disease specialists think it’s dangerous, then it must be stopped. The only exception may be if his “triple professors” are really at the top of this field, and are not outweighed by other infectious disease specialists also at the top of the field. But this seems unlikely based on the infectious disease specialists who have already come out against MBP. This should be further proof that haredim are not pursuing this honestly. At the very least, they should be calling for a temporary suspension of MBP. But they are not. Honesty in financial dealings is not optional in Judaism; it is mandatory. The Talmud teaches that when a person is brought to judgment in the world-to-come, the first question the heavenly tribunal puts to him is: "Did you conduct your business affairs in good faith?" A Jew who takes the values of his religion seriously must be scrupulous in his transactions with others. To be sure, even the saintliest people — not to mention the rest of us — sometimes fall short of the values they profess. But Abramoff's criminal deeds and sleazy manner are a lot worse than mere lapses in judgment. One who behaves so unethically and illegally drags more than his own reputation through the mud. He is an embarrassment to his religion and his community, and that comes close to being unforgivable. Please wait a moment while I recover from side-splitting laughter. According to some rabbinic opnions, "honesty in financial dealings" is mandated by Judaism only between Jews. "Goyyim" are open season, with one caveat – do not get caught. In fact, you can find a number of prominent Orthodox rabbis with a past steeped in criminal fraud – a partial list would include Leib Pinter, and Gershon Tannenbaum of Igud HaRabbonim. We would also have S.Z. "Jimmy"Gurary (US Supreme Court.pdf) of Agudath Chasidei Chabad and Sternberg his son-in-law, Moshe Rubashkin of the (in)famous Rubashkin family and the Crown Heights Community Council (please see the left sidebar of this page). 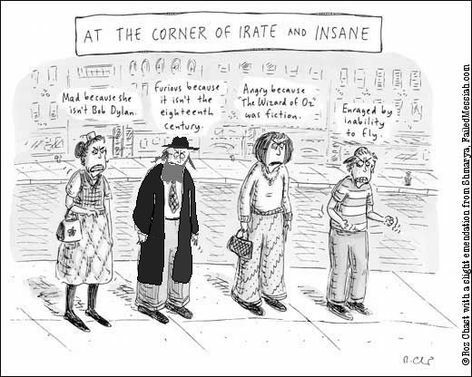 Now, add to this list the non-rabbis. Jacoby may not know this. Or he may be writing propaganda. Either way, Abramoff is not alone. As the Prime Minister's condition appears to be deteriorating, prayers and other good deeds are all that we can do for him. Please pray that Ariel ben Vera (Ariel the son of Vera) have a complete and speedy recovery. A third possibility, and the one to which we are leaning, is that having seen the incident that involved Menck in June, someone is watching his actions very carefully and looking for a way to cause the officer public embarrassment and to bring pressure to bear on him. The news of the Robinson affair is interesting but strikes us as a bit too convenient. As I clearly demonstrated, the "someone" referred to by the TriTown News are Lakewood haredi leaders. As for the newest case against the police officer, all known facts support his version of events and refute every version Robinson's ever-changing story. The only just ending to this story will be for indictments to be filed against the haredi leaders who have worked so hard to smear Officer Menck. But will that happen? Lakewood's new mayor is haredi, and the township council itself does not want to stir up more trouble. If the council backs down, Officer Menck will be left in a situation where he will have to watch his back everytime he does his job, always fearing new, trumped up charges against him. No one can work under conditions like that for long. Haredim are counting on that, engineering the day when Officer Menck will leave Lakewood, hoping to leave haredi harrasment behind. Haredim will view this destruction of an innocent man as a victory. The rest of us should view it for what it really is – sickening behavior from medieval thugs. Earlier this year, the local chapter of the American Civil Liberties Union released a study showing that the Orthodox community used a disproportionate amount of the school district's special-education resources. One of the great fears of those who are trying to ban metzitza b'peh, the dangerous oral suctioning of the circumcision wound practiced by many haredim, is an increased rate of learning disabled boys whose brain damage from the herpes virus was not severe enough to be noticed at the time of infection. This "sub-clinical" brain damage, the theory goes, surfaces later as learning disabilites and other related conditions. Is haredi Lakewood's rate of learning disabilites as judged by their dispropotionate use of resources an indication this theory – promoted by Rabbi Moshe Tendler – is true? It may very well be. 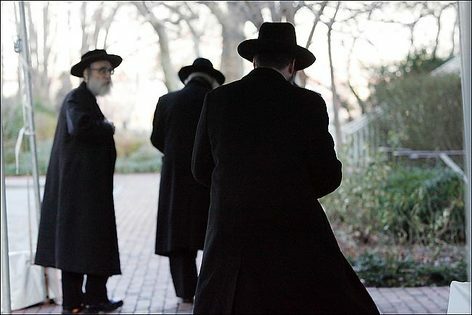 Lakewood Gets First Haredi Mayor As Tensions Grow Between Haredim And Non-Jews; Info Confirming Circumcision Risk Found In Lakewood? Earlier this month the sensitivity of the Orthodox community came to the fore after a local black reverend wrote an opinion essay in the Asbury Park Press, complaining about the "great disparity and favoritism of the Lakewood Township Committee's preferential treatment toward the Orthodox Jewish community." In response, the Lakewood Vaad issued a ban on speaking to the Asbury Park newspaper. Community groups have been claiming for several years that the Orthodox receive more than their fair share of municipal services. In 2003, a public school advocacy group sued the Lakewood Board of Education for providing gender-separated bussing to students attending Orthodox Jewish day schools. That suit was dismissed. Earlier this year, the local chapter of the American Civil Liberties Union released a study showing that the Orthodox community used a disproportionate amount of the school district's special-education resources. [Perhaps this is due to the high incidence of metzitza b'peh, the dangerous oral suctioning of the open circumcision wound practiced by many haredim, including in Lakewood. MBP is known to transmit herpes, causing brain damage and even death. -- FM] Those findings are being investigated by the state department of education. Several of Lakewood's non-Jewish leaders rejected the claim that the Orthodox community received preferential treatment. But they did say that the Orthodox community had organizational capabilities that no other ethnic group in Lakewood possesses. "When low-income housing becomes available, they know how to get it," said Reverend Gary Stiegler, president of the Lakewood Clergy Association, a group of some 30 local religious leaders, which Orthodox leaders have declined to join. "It's not as much their problem as those who don't know how to do it." Stiegler said that for the congregants at his Lutheran church, the cohesion of the Orthodox community is unnerving because of the swift way in which new Orthodox Jews have come to Lakewood, totally changing the character of streets and neighborhoods in a few years. "Is there some way that the Orthodox community could begin to sense in some small way what it is like to live in a town where everything has changed since your childhood?" Stiegler asked. "My sense is that they really don't care what we think." And now Lakewood has its first haredi mayor, not such a big deal because the mayor isn't elected – he's chosen by his fellow councilmen. For the full report on that, read on. "This is a great day for Israel since that evil man is gone." Dayan said. "I am convinced that God heard the prayers of the children in Gush Katif. When those kids were thrown from their homes they prayed and God heard their prayers." Perhaps Rabbi Steinsaltz may want to use his power as "nasi" to expel the "future king" from the "sanhedrin." Rabbi Avigdor Halevi Nebenzahl, rabbi of Jerusalem's Old City, who told the extensive school system he heads not to pray for Sharon. Rabbi Shmuel Eliyahu, Chief Rabbi of Safed and son of former Sephardi chief rabbi Mordechai Eliyahu, who issued a legal ruling (teshuva) not to pray for Sharon. Rabbi Ya'acov Ariel, chief rabbi of Ramat Gan, also said that prayers should be said for Sharon. "Notwithstanding what he has done in the past year, Sharon is a Jew who has done a lot of good for his people," said Ariel, who is a former head of a yeshiva in Gush Katif, Gaza. "There is no danger that Sharon will come back and serve as prime minister, so why not pray for him?" Besides the obvious theological problem with Rabbi Ariel's implied assertion that God could not fully heal Sharon, Rabbi Ariel has made himself clear: If there were a real chance of Sharon returning to public life, prayers for his recovery would be wrong. Conspicuously absent from the public discussion have been former chief rabbis Modechai Eliyahu and Avraham Kahana Shapira, who have manged to say nothing on the matter, even though they regularly pontificate on public issues. Both were severe critics of Sharon and the Gaza withdrawal, and both behaved very badly in the process. Not stepping forward now to ask Jews to pray for Sharon is tantamount to telling them not pray, a fact both rabbis are certainly aware of. Orthodoxy is broken, not because of external pressures or repression. It is broken because of the failure of the rabbis who lead it. Such big hats. Such tiny minds. 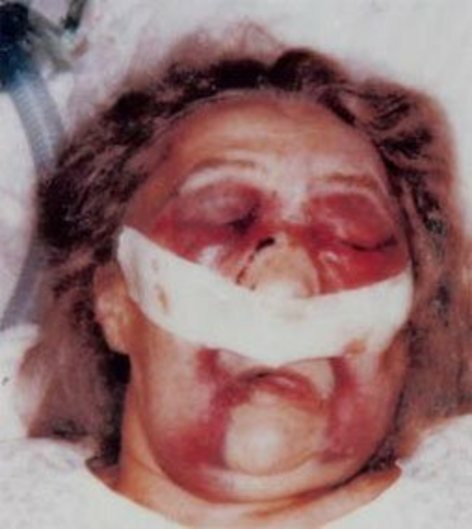 I had hoped not to post anything today, except for the post immediately below this on what we can and should do now for Ariel Sharon, sheyikhye. But three related stories have driven me to post. In the first, Christian evangelical Pat Robertson contends* Ariel Sharon's current illness is "punishment from God" meted out because of the Gaza withdrawal. In the second, Iran's president calls for Sharon's death. In the third, Sefad's chief rabbi Shmuel Eliyahu, son of former Sefardic chief rabbi of Israel Mordechai Eliyahu, refuses to pray for Ariel Sharon because of the Gaza withdrawal. The common thread that links the three besides gross stupidity? They are all fundamentalists. Something to think about on this very sad day. What Can We Do For Ariel Sharon, Sheyikhye? What is the proper response to Ariel Sharon's illness? The Israeli Chief Rabinate has asked all Jews regardless of affilliation to say tehillim (psalms) for General Sharon, specifically chapters 6, 20, 121, 130 & 142. (But any chapter[s] will do just fine; say what you can.) The entire Book of Tehillim is online in both Hebrew and English. Studying Torah is also important. Online versions of the Babylonian Talmud can be found in Hebrew with other extensive study aids in English, and in English translation without notes or study aids. The Kitzur Shulkhan Arukh ([very] abridged code of Jewish law) is online in a bilingual edition. Rabbi Chaim Jachter has extensive essays (similar to responsa) on various aspects of practical Jewish law online in English. And, last but not least, the entire Tanakh (Hebrew Bible) is online in Hebrew and in English. It is also customary to give tzedaka (charity). Any amount is fine. Do what you can. Doing good deeds is also important. Perhaps you can find an elderly person or a shut-in to visit. Certainly there are many people who need assistance in myriads of ways – find one that is right for you and do it. A simple heartfelt prayer offered in any language, either within the Refaenu blessing of the Amidah prayer or as a stand-alone at any time, is very appropriate. 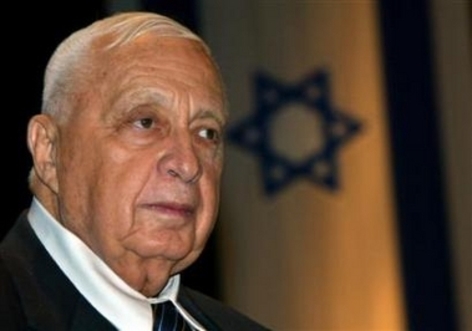 May God grant Ariel Sharon a full and speedy recovery. This past shabbos I heard R. Shimshi Sherer (R. Moshe Sherer's son) speak at a shalasheudes. He asked why do we say "ve-al ha-milchamos" [and on the wars] in the al hanissim [prayer said during Hanukka]. shouldn't we remember the victory but not the milchama [war]? Says R. Sherer, quoting, IIRC the Nesivas Shalom (ironically) that the reason is because the "milchama" [war] is not yet over. * We continue to fight the misyavnim [Greeks]. And don't think, said R. Sherer, that the misyavnim [Greeks] of today are the Reform or Conservative. No, they're the Modern Orthodox rabbis (verbatim quote) who want to chepper [mess with] with bris milah and shabbos! Wake up, people! Haredim are your enemies. Toward A Unified Theory Of Hanukka Candle Lighting And An Accurate Dating Of The "Miracle Of Oil"
As we have seen, the "Miracle of Oil" often given as the reason for Hanukka candle lighting did not take place. It is a later myth with no historical basis. So, why this myth? Where and when did it come from? As Hasmoneans became Hellenized, they celebrated the Roman holiday of Saturnalia, centered around the winter solstice. Observance of this pagan holiday seems to have eventually spread throughout most of the Jewish community. 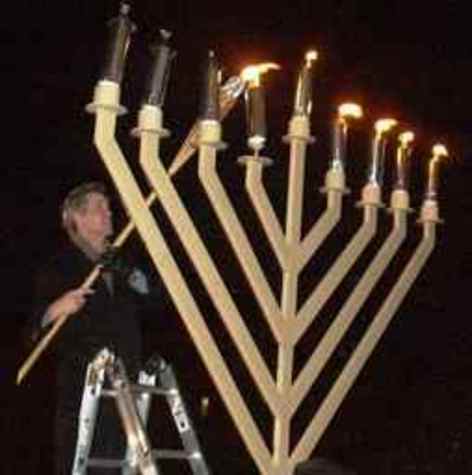 Saturnalia's 7 day candle lighting often coincided with part of Hanukka. This may have caused the populace to confuse the two celebrations, much in the way many American Jews in our times had "Hanukka bushes." The story of the "miracle of oil" was probably added by the rabbis to give a Jewish "spin" to the lighting, by moving the custom to the 8 days of Hanukka and giving it a new reason – the "miracle of oil." But the beginning of the custom should be properly attributed to the Hasmonean's victory celebration and the rededication of the Temple. The first celebratory year may have included 8 days of candle lighting, and it is highly probable that the custom continued, at least in in Priestly families, after that. As the populace became more Hellenized, the practice was merged with Saturnalia and broadened throughout the Jewish community. If the original Hanukka did have 8 days of candle lighting (again, not based on the "miracle of oil" myth), and if the custom continued after that, gradually merging with Saturnalia, the addition of the oil myth would have helped to remove pagan influence while at the same time supplanting the core of the Hanukka miracle, the military victory, with a myth that emphasizes God's role and downplays man's – a winning proposition for the rabbis. This may be further demonstrated by the rabbinic ban on studying Maccabees 1 & 2, Jewish books that document the Hasmonean victory, the rededication of the Temple, and the continuing war against the Greeks. The ban was probably first instituted during the late Herodian or early Roman period and reissued after the failure of the Bar Kokhba revolt. It would not have had much effect at its first issuance, because the rabbis were few in number and had little influence. I suspect the ban therefore did not take hold and was largely forgotten by the time of the first revolt against Rome and the Destruction of the Temple. This may be seen by reviewing Josephus's account of the Hasmonean victory, which seems to be based in part on 1 & 2 Maccabees. Josephus, who wrote after the Destruction and before Bar Kokhba, was a student of the rabbis and considered himself to be a Pharisee. Again, he knows nothing about the oil myth. But he does know the details of the military victory and the celebration that followed. He also knows the holiday's common name – Lights – apparently a reflection of the common custom to light candles. I believe this indicates the ban on 1 & 2 Maccabees was not reinstituted until after the Bar Kokhba revolt failed, when the rabbis needed to quiet anything that might promote or endorse revolution against Rome. It would have been then, not long after the death of Josephus, that the oil myth was first widely taught. It's purpose would then have been several-fold: To lessen the role of the now disgraced and Hellenized Maccabees, who in their end had also became close to the hated Saducees; to emphasize God's role in the victory; to remove pagan elements (Saturnalia) that had crept into the holiday's observance; to shift focus away from a victorious war in which the rabbis did not prominently participate; to shift focus from a failed, disastrous war in which the rabbis did prominently participate; and to dampen down any further attempt to revolt against Rome. This may also be seen by the Talmud's lingering memories of a reason underlying Hanukka candle lighting other than the "miracle of oil," and the complete lack of any mention of that same "miracle" in the Mishna or other early rabbinic texts. In short, while the creation of the oil myth may possibly be dated to the early Roman period, the widespread propagation of that myth most likely began at or just before the beginning of the redaction of the Mishna. Two hundred years later, at the time of the beginning of the redaction of the Talmud, the myth had become an accepted "truth" (even though the rabbis could find no written source for that "truth") – in large part because the rabbis themselves had successfully banned 1 & 2 Maccabees and Josephus 200-plus-years earlier. And so the "Miracle of Oil" became the focus of Hanukka, as we see to this day. Head Of Haredi Circumcision Board: Herpes Risk "Has No Basis"
Some rabbis, however, do not believe that the circumcision ritual puts infants at risk and said that the health department shouldn't interfere. "I think it has no basis," said Rabbi Romi Cohn, a Staten Island- and Brooklyn-based rabbi who said he has not seen a single infection among the 15,000 circumcisions he has performed in the region. According to tradition, he said, whoever does the circumcision must use sterilized equipment, undergo routine blood tests and be healthy and clean. The rabbi said metzitzah b'peh is an integral part of circumcision, a ritual that is thousands of years old. Blood tests? Sterile? Tradition? Please. Perhaps Rabbi Cohen was referring to the "standards" of the new haredi circumcision board, which claims to mandate twice-yearly blood tests. The problem is, twice-yearly blod tests is not nearly enough to have real impact on transmission and, because of the nature of disease transmission, the only real way to stop it is to stop MBP. And, it seems, the only real way to do that is to make it illegal. As this sorry episode makes clear, the experiment of haredi "self-governance" has failed. The Economist reports (this is not online unless one is a premium subscriber) that the oldest beads found to date are approximately 75,000 years old. Is that the date of the first clothes, as well? Mark Stoneking and colleagues from the Max Planck Institute for Evolutionary Anthropology used the molecular-clock technique to human lice. They discovered head lice and body lice first diverged into separate species 75,000 years ago. They believe with much justification that this proves humans first wore clothing 75,000 years ago. SEVEN hundred and forty centuries ago, give or take a few, the skies darkened and the Earth caught a cold. Toba, a volcano in Sumatra, had exploded with the sort of eruptive force that convulses the planet only once every few million years. The skies stayed dark for six years, so much dust did the eruption throw into the atmosphere. It was a dismal time to be alive and, if Stanley Ambrose of the University of Illinois is right, the chances were you would be dead soon. In particular, the population of one species, known to modern science as Homo sapiens, plummeted to perhaps 2,000 individuals. The proverbial Martian, looking at that darkened Earth, would probably have given long odds against these peculiar apes making much impact on the future. True, they had mastered the art of tool-making, but so had several of their contemporaries. True, too, their curious grunts allowed them to collaborate in surprisingly sophisticated ways. But those advantages came at a huge price, for their brains were voracious consumers of energy—a mere 2% of the body's tissue absorbing 20% of its food intake. An interesting evolutionary experiment, then, but surely a blind alley. This survey will attempt to explain why that mythical Martian would have been wrong. It will ask how these apes not only survived but prospered, until the time came when one of them could weave together strands of evidence from fields as disparate as geology and genetics, and conclude that his ancestors had gone through a genetic bottleneck caused by a geological catastrophe. The Economist later notes (again, not online) that this eruption stranded widely separated groups of Homo Sapiens and may have caused them to develop different genetic characteristics that we know today as "races." If we assume the Creation story and subsequent events in Genesis are in fact older stories added to the Torah either by Moses* or a later editor (like Ezra), and these stories reflect mankind's earliest memories of its existence, what we find is a an "expulsion" from a naive state of existence to one that required clothing, closely followed in time by a flood myth and a Tower of Babel myth. The eruption of Toba could easily account for the latter two stories. Interestingly, dating of the first clothing and the eruption is separated by only a thousand or so years, about the same number of years that separate the Tower of Babel story from the expulsion. Does this prove anything? No, it certainly does not. Of course the 'gedolim' may put a kibosh on some of this. Science hasn't treated them very well, of late. *Before you start to yell "Heretic!" realize that there are Rishonim and earlier sources who said exactly this. … The Mishnah has some brief references to the rules for Chanuka , indicating that by the end of the second century C.E. there was already a custom of kindling lights at the darkest period of the year. This was a custom that may have been imported from the northern latitudes during Roman rule -- perhaps in imitation of the Roman Saturnalia observances. Sometime between then and the completion of Gemara, the celebration of lights assumed greater significance and, just as today we elevate the observance of Chanuka in order to offset the influence of Christmas, the rabbis of the Talmud may have built up the idea of a miracle connected with lights, to show Jews that we had our own basis for a solstice observance. In other words, to justify a pagan practice that had become widespread in the Jewish world, the rabbis invented a miracle story to "kasher" the practice. The careful student of Christmas should find much familiar in this. That is why lying is such a bad thing. It destroys trust, and, without trust, there is no tradition. "I have been very quiet about this," Yitzchok Hecht told this reporter this week. "I am not here to get into this whole thing but you are cornering me into a position. Am I not supposed to respond?" But Hecht has made editors at Woodstock Times aware of the situation several times over the past year and as recently as a week ago. "Yitzchok [Hecht] is so upset he didn't get Woodstock," said Borenstein this week. "It is a wealthy place and he wanted to get real estate there... The Hechts are looking for power. They think they own Ulster County. They think they own Sullivan County. And, now, they think they own Dutchess County... They told me they would bury me alive. I said, if that's the will of God, I will accept it with love." From the way Rabbi Borenstein speaks in the article, it would seem he is a messianist. The Hechts, of course, are not. Dishonest? Thuggish? You be the judge. Harvard's Shaye J.D.Cohen and Meir Soleveitchik have an exchange of letters in the Winter issue of Azure. Dr. Cohen claims with much justification that Dr. Soleveitchik misrepresents his (Cohen's) views on the origin of matralineal descent. For his part, Dr. Solevietchik answers with bluster, contending that matralineal descent is biblical. In proof of this, Dr. Soleveitchik cites an incident from the Book of Ezra. In the incident a petitioner asks Ezra to expel all the "foreign women and their children," but does not ask for the same to be done to the "foreign" men and theirs. This, according to Dr. Soleveitchik, "proves" matralineal descent is biblical, meaning it is a law always in practice from the time of the Revelation of the Torah on Mount Sinai, and is based on Torah precepts, even though it is found nowhere in the Torah itself. But this is a problematic citation for several reasons, not the least of which is the dating of Ezra, which by biblical chronology is of the last of the cannonical books. It describes events that took place after the return to Judea from the Babylonian exile. And it contains some unique history. We learn from Ezra that many laws and practices thought to be biblical were unknown to the returnees, and Ezra had to "reinstitute" them. This is made even more problematic because Nehemia also appears to have been unaware of them, as well. This makes relying on anything in Ezra for the purpose of determining its "biblical" status problematic. Perhaps realizing this, Dr. Soleveitchik notes that the petitioner refers to the Torah basis for his requested action, asking for the expulsion “in accordance with the Torah.” "The clear implication," says Dr. Soleveitchik, is that the petitioner "was suggesting not a supererogatory act, but rather a mandatory one whose biblical basis was already known to Ezra." But as is well known, torah means teaching or law, and does not need to refer to the Five Books of Moses that bear its name. In fact, most usages of the word are just that – a reference to a teaching or a law taught by a specific sage or expounded by a particular public figure. The petitioner could just as well be referring to a teaching of Ezra, and that is perhaps the case here. We find no mention of matralineal descent before Ezra, and we find it here only if we accept the notion that expelling foreign wives is linked to that and not to, for example, idol worship, as was the problem with King Solomon's foreign wives, Abraham's concubines, and their progeny. And, because both of these incidents are mentioned, one in the Torah itself and one in Neviim (Prophets), it is far more likely Ezra's petitioner was referring to them. A far more plausible explanation is the status of the baby is determined by the status of the mother at the time of birth because we had (in those days) no surefire way to determine pregnancy in its earliest stages, and the idea of having a potential convert wait three or more months before converting is found nowhere in the biblical cannon. Further, a fetus is not considered to be a life in the fullest sense until birth. We see this from the biblical incident (Exodus 21:22) of two men fighting and accidentally injuring a pregnant woman who loses the baby. The man who caused the injury is not sent into exile like other accidental murderers; he pays a monetary fine, instead. One could easily argue this is the reason for the halakha mentioned in the Talmud. So we see Dr. Soleveitchik discards scholarly diligence for the comforting world of rabbinic homily, and that is fine – so long as the distinction between the two is clear in both the minds of the author and his readers. With Dr. Soleveitchik, this is clearly not the case. Haredim To Hold Mass Protest Against NYC? 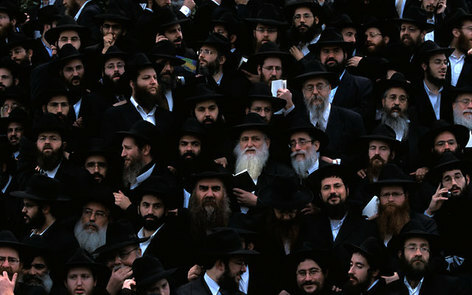 Steven I. Weiss is reporting rumors of a large, haredi anti-Bloomberg protest at tomorrow's inaguration. The issue? Metzitza b'peh, the medieval oral-to-genital-contact during (some) circumcisions haredim refuse to stop. Weiss also reports rumors circulating in Flatbush and other less-hasidic areas of Orthodox New York of new government controls over any ritual circumcision, MBP or not. What is this all about? It seems to me NYC's Health Department is about to release more damning information about the dangerous spread of herpes and other diseases through MBP, information – and perhaps specific cases – already shared with haredi leadership, but not shared by that leadership with their communites. If NYC does this, it will expose haredi leadership to serois attacks from within their own communities. That is why these leaders need to quickly recast this as an attack on circumcision itself, and not simply an attack against a dangerous, non-biblical, section of the procedure done only by (some) haredim. While the actual meat of the rumors are certainly false*, the underlying message is clear – turn genuine concern by the city for the safety of Jewish children into an antisemitic witch hunt aimed at haredim. More to come, as this developes. *With the exception of the demonstration, which may take place.